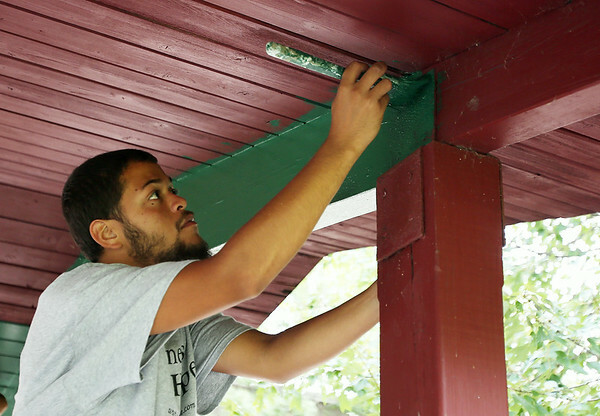 Joshua Mejia, a part of a youth group for at-risk and underserved kids called Journeys of Hope, paints the roof of a gazebo at Charles Curtis Memorial Park in Salem on Thursday afternoon. DAVID LE/Staff photo. 8/21/14.